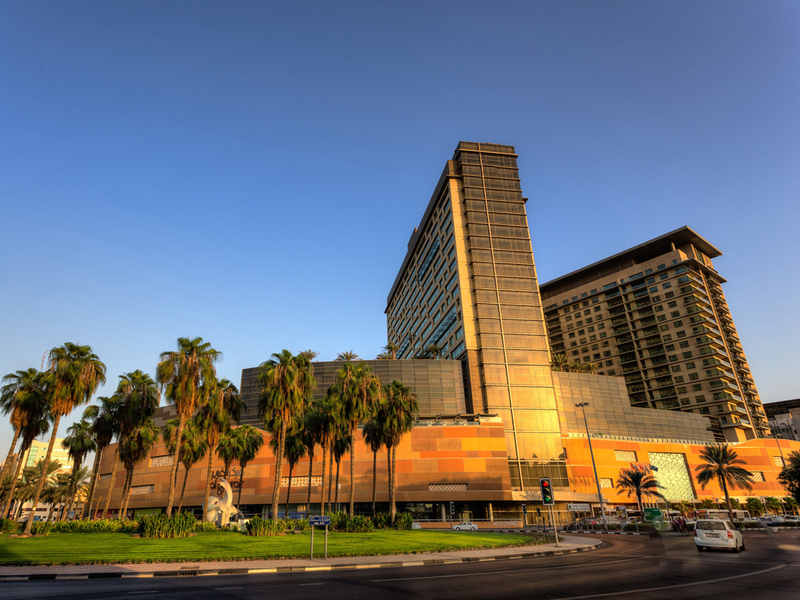 Swissôtel Al Ghurair is a 428 room and suite upper upscale property connected to the Al Ghurair Mall. Catering for both business and leisure clientele, this luxury five-star hotel located in Deira in the heart of Dubai and within easy reach of major tourist landmarks and leisure destinations. The hotel is in close proximity to Dubai International Airport and Dubai Union Station. Enjoy an elegant atmosphere at a variety of restaurants or feel unwind with all that the spa and fitness center has to offer. 428 luxurious rooms and suites, as well as the Club Lounge on the 18th floor which provides a private reception, small meeting facilities and complimentary breakfast throughout the day to all club guests. The Yasmine Lounge an ideal place to unwind after a busy day in Dubai. Stop by for a light lunch, afternoon tea, mocktails or even late night dessert, served with the glittering lights of the city as your background. Shayan restaurant combines the best of two ancient cuisines with a contemporary modern setting. Elegant fittings and luxurious interiors combine with the succulent taste of Persia and the Mediterranean Lebanese flare. Liwan offers live cooking stations and an extensive selection of beverages for breakfast, lunch and dinner as well as variety of a la carte choices. For after dinner lounging, the adjourning Liwan terrace offers Shisha service and light snacks until late. A estadia no hotel foi incrível, o melhor de toda viagem. O quarto é maravilhoso e muito limpo, tínhamos chá e nespresso disponiveis e todo dia 2 garrafas de água! Além de uma cesta de fruta no primeiro dia. O café da manhã é divino, tem muitas opções de comida, na verdade tem de tudo! Vale muito a pena!! A piscina é muito boa, tem uma ótima estrutura E a equipe de atendentes é incrível ♥️ Um obrigado especial para o Jasur! Quartos muitos agradáveis e limpos. O diretor do Hotel é fantástico e sempre pronto a ajudar em tudo o que precisamos. O Sr. Christopher Klein é o melhor director de hotel com já contactei - 5 estrelas !! !